In the first three weeks of 2019 alone, a broad range of Democratic members of Congress have announced their candidacy for US president, including Julian Castro, Tulsi Gabbard and Kirsten Gillibrand. Washington insiders are speculating about many more to come, such as Amy Klobuchar and the seemingly inevitable Beto O’Rourke. What all these Democratic hopefuls have in common is little to no name recognition. A recent NPR/PBS Newshour/Marist poll showed that a majority of Democrats had either never heard of them or were “unsure” whether they were favourable or unfavourable towards them. While we are still some time away from the 2020 elections, that is not a good start. 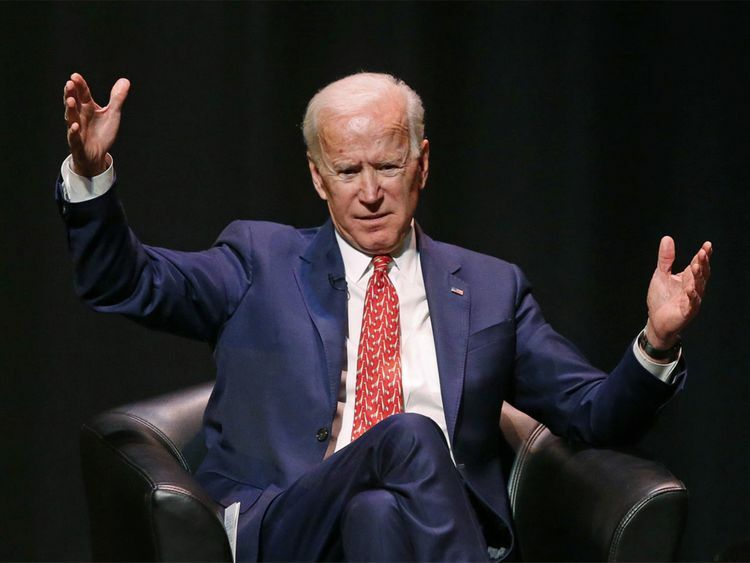 According to most polls, former vice-president Joe Biden is the front-runner of the Democratic hopefuls: 76 per cent of the potential Democratic electorate holds a favourable opinion of him, whereas only 12 per cent is either unfavourable or neutral/doesn’t know him. This is used as evidence that he is the best presidential candidate for the Democratic party. It is wrong. First, Biden is old. This is not ageism. Old people can perform many jobs well, including political ones, but US president is a particularly gruelling position, which wears even the fittest people down. Just look at the before and after pictures of George W Bush and Barack Obama, both much younger and much fitter when they became president. Biden is 76 years old today and would be a staggering 78 when he would start his first term as president. That is eight years older than Trump was in 2016 and even five years older than Ronald Reagan was in 1980. Democrats have openly worried about the negative consequences and risks associated with the age and related health issues of both these Republican presidents, and deservedly so. Second, Biden is perhaps a symbol of the old Democratic party. He entered the US Senate in 1973, under President Richard Nixon. He took over as Chair of the Senate judiciary committee from Strom Thurmond. Several of the newly elected Democratic members of Congress were not even born yet when Biden entered the Senate and will only know Thurmond from the history books. Like many of their voters, who are also increasingly non-white and female, they will look at Biden and see a Democratic party run by and for white men. Whatever else these men may have done for the advancement of minorities and women, they have been successful at clinging to power. Third, Biden represents for many a political program and strategy that failed in 2016. While he is trying to reinvent himself to adapt to the leftward shift within the Democratic party — pushing for free college, a $15 (Dh55)/hour minimum wage, power for workers — he will have a hard time convincing many left Democrats about his sincerity. Even if he supported some of these positions already in 2015, he then served in an administration which was much more conservative on these points. Moreover, even his carefully crafted popular image of the champion of the middle class, ie “the boy from Scranton”, is more directed at the base of Trump. But the white working class is much more moved by racial than economic concerns and is therefore unlikely to (re) turn to an increasingly diverse Democratic party. Moreover, the strategy is a bad fit for a party that is surfing a “blue wave” caused, predominantly, by women and minorities who were mobilised by the Republican party’s embrace of Trump’s racist politics, and by the #MeToo movement and its aftermath. Fourth, Biden is the perfect candidate for President Trump to face in his re-election bid. He is the embodiment of the stereotypical Democrat the Republican base hates. Biden is a professional politician who has been in Washington for 45 years straight, and is intimately linked to their political Antichrist, former president Barack Obama. It is Hillary Clinton 2.0, albeit without the additional benefit of sexism. Fifth, a Biden-Trump race would likely further poison the already toxic political climate and erode the quality of political debate, leading to even more political dissatisfaction among pretty much all Americans except for the most partisan members of both camps. Before Trump entered the political stage, it was Biden who was ridiculed for his many gaffes. He is also prone to political machismo, such as the time he threatened to “beat the hell out of” Trump to defend America’s women against his sexual harassment. Biden v Trump would make the 2020 presidential debates into a sad spectacle of WWE wrestling for senior citizens — to the delight of the US media. In short, Biden’s current lead in the polls shouldn’t be mistaken for evidence that he is the best Democrat to challenge Trump in 2020 and to lead the US as president. One of the oldest and worst candidates to appeal to an increasingly young and recently energised Democratic electorate is also the best candidate for Trump to attack while mobilising his political base. In a time of negative partisanship, with more and more people voting against a party rather than for one, this should be a major concern to all Democrats as well as anti-Trump Independents. Cas Mudde is a prominent US columnist and the Stanley Wade Shelton UGAF Professor in the School of Public and International Affairs at the University of Georgia.